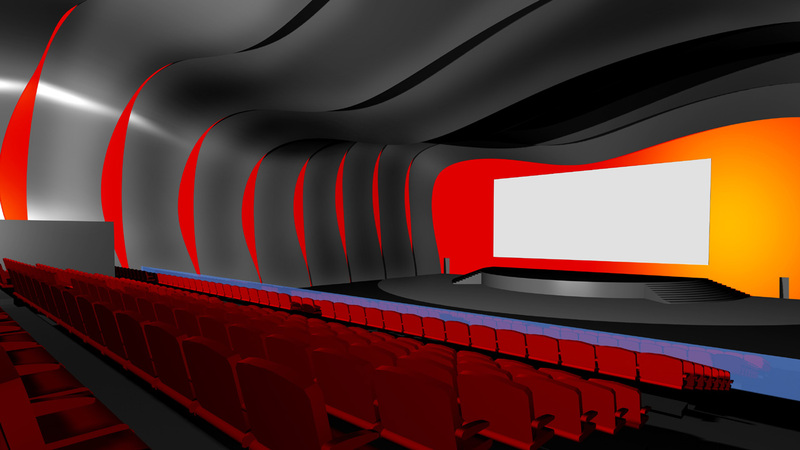 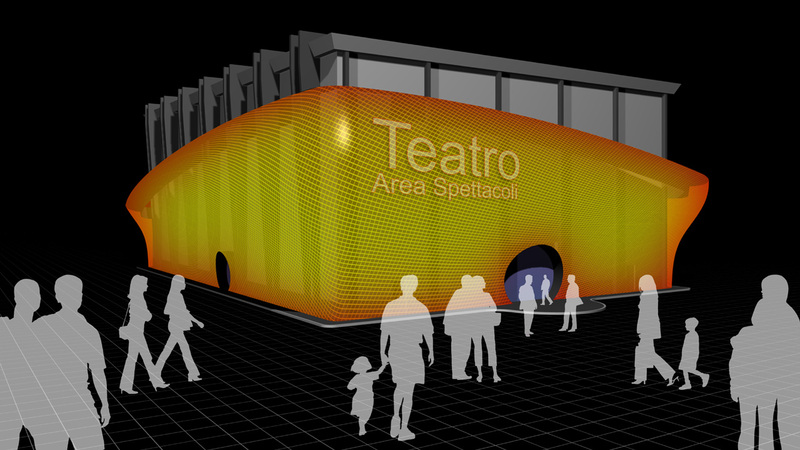 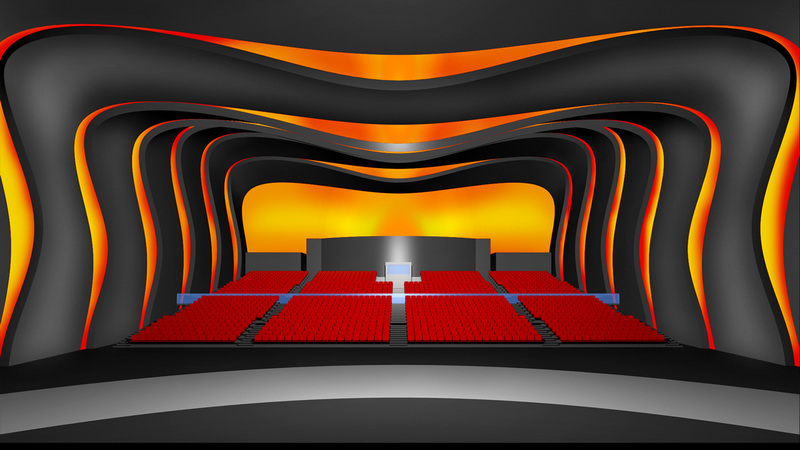 The project within the Cinecittà World theme park in Rome includes the external restyling and conversion of the industrial pavilion into a multi-purpose auditorium seating 1700 people, with the possibility of hosting TV and multimedia events. 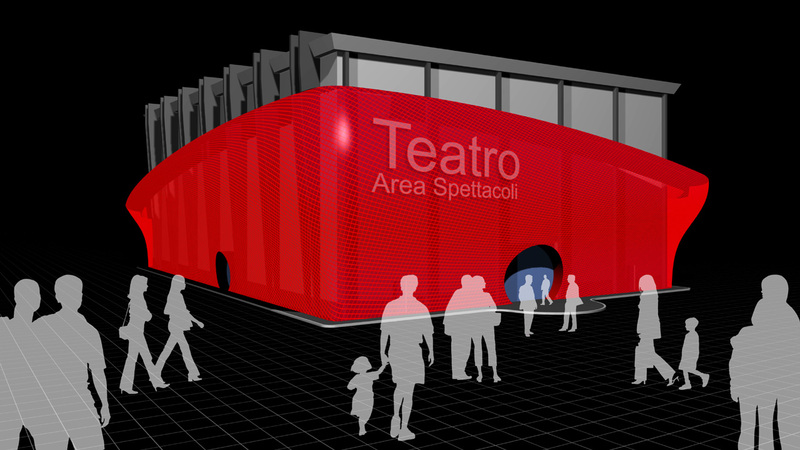 The outer skin covering the pavilion is in micro perforated sheet metal that has been coloured and shaped, with large holes cut into it to accommodate the entrance and the emergency exits. At the base of the perimeter an RGB colour-changing LED system, varies the colour inside the pavilion to match the spirit of the event being staged. 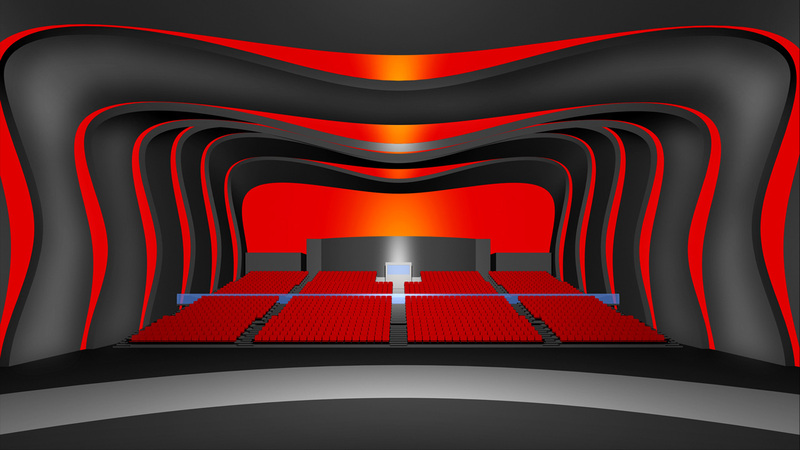 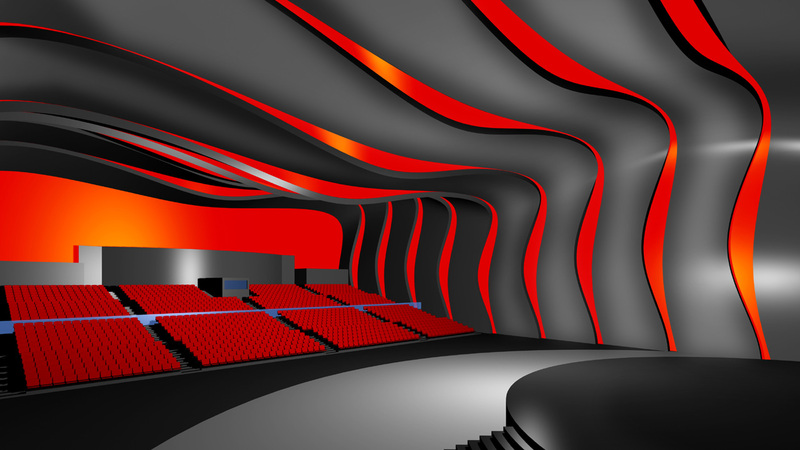 Inside the theatre, large sound absorbing, foam cement curvilinear ribbons envelope the entire area of the hall, generating, thanks to the luminous gaps, fascinating atmospheres that recall the shapes of a large whale. 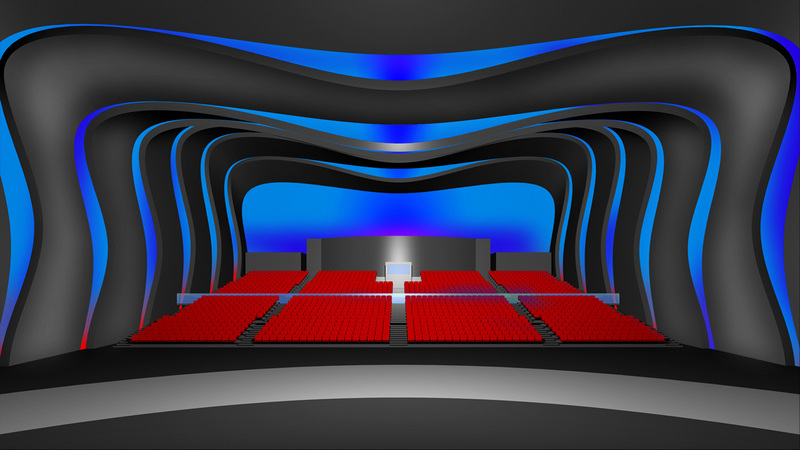 Here too, the colour-changing lighting system and the motorised stage mean that it is possible to achieve different configurations to suit a variety of theatrical requirements.